One of the most heartbreaking stories from the devastation in Haiti is the children. Nearly 80 orphans from Haiti arrived in South Florida to meet their adoptive parents for the very first time. From the chaos of Haiti to the comforting embrace of loved ones, they arrived at Miami International Airport Friday morning to meet the families who have opened up their hearts and their homes. They are from 'God's Littlest Angels', a Christian orphanage outside of Port-au-Prince, which stood through the earthquake. "Here's my son, right here, he's great," said one proud adoptive father. These adoptive parents, from all over the country, have waited years in some cases, for this moment and thought it was lost when the earthquake struck. Tim and Annette Franklin from Vermont are adopting 2-year-old Gedeleine. "It's amazing. It's an amazing moment," said an emotional Tim Franklin to CBS4's Michael Williams. "We wondered a week ago if this moment would ever come. Now it's here, it's awesome." Kevin Downes is a California film producer. He and his wife were touched by the plight of Haitian children through a documentary he's working on. Now 21-month old Benicio is an orphan no more. "It's overwhelming, it's exhausting, it's tiring, it's a long journey but more than anything we're just thankful," said Downes. The last leg of a long journey included 7 hours of immigration and customs paperwork before happy reunions at the airport early Friday. "Only God can make something miraculous out of such a horrible nightmare," said Ebenhack. Her adopted son Justin couldn't be happier to be here. "I'm very excited because now I get to come here with all of them and see all of my relatives, and I get to see my great grandmother and great grandfather who are too old to see us," exclaimed Justin. While the earthquake twisted steel and shattered the country, the human spirit has endured. Every reunion that took place this day, and will take place in the future, is testimony to that strength. "Our hearts break for everyone still in the country, but we're glad that she's here and that she has the opportunity for a future that she didn't have," said Gedeleine's new dad, Tim. Of the 80 children who arrived Friday, 58 came to the U.S. through the Bethany Christian Services, one of the largest adoption agencies in the country. Right after the earthquake, Bethany worked with its Haitian counterpart God's Littlest Angles to receive clearance from the U.S. Department of Homeland Security. "All of these children escaped from this tragedy unharmed, but it is important to remember that there are millions of others who still remain in Haiti," said Pam Harrington, director of international adoption services for Bethany. If you're interested in adopting an orphan from Haiti, click here to get more information from the Bethany Christian Services web site. Please watch the video about our friends Kevin and Cathy Downes. Words can not say what I want to express. Please watch this. My only words are God have mercy. If you pray the Chaplet of Divine Mercy, please do so for the people of Haiti. Samaritan's Purse is a great way to make sure your donation gets to the people that need it. 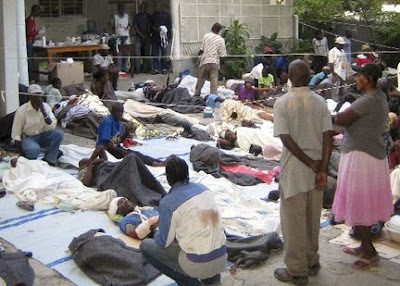 Port au Prince, Haiti, Jan 13, 2010 (CNA).- The earthquake that struck Haiti just before 5 p.m. local time has claimed thousands of lives, according to news reports coming from the island. Among the many lives lost in the catastrophe are those of Catholic clergy and missionaries. 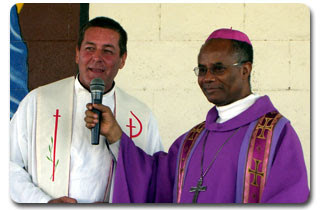 The Italian daily La Repubblica reported the death of Archbishiop Serge Miot, Archbishop of the Haitian capital of Port-au-Prince at 4:44 a.m. (CDT). According to the brief report, his body was found in the rubble of the archbishop's office. They also reported that the Vicar General, Msgr. Benoit, was still missing. 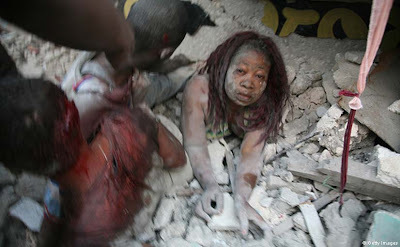 "Port-au-Prince is totally devastated. The cathedral, the Archbishop's Office, all of the big churches, all of the seminaries have been reduced to rubble. The same luck for the Ministry buildings, the Presidential Palace, the schools. The Parish Priest of the Cathedral, who was spared, told me that the archbishop of Port-au-Prince would have died under the rubble, together with hundreds of seminarians and priests that are under the ruins." 2. We misrepresent the Name of Jesus when we move away from sinners. The average 'Christian' after one year of being a Christian has no friends outside of the Christian environment. What a sad commentary. How do we reach people with the love of Christ if this is how we act? If we look at Jesus, he was a friend of sinners. It seems that he was more comfortable around sinners than around the "religious" people. Today we have 'Christian' health clubs, stores, clothing, bowling alleys, and the list goes on and on. In fact, we could go our whole life without being around non-Christians if we really wanted to. The problem with this is this is not who Jesus is or what he is like. If we are to be like Jesus we must get out among those who do not know him and be with them. It is not a time to judge them, but to share their life and get to know them. Instead of trying to get them to say 'the Prayer', why not ask them how their day was? Why not be their friend? If we would begin to do this and treat people with respect I believe that they would come to faith much quicker. Lay down your Amway salesman evangelism and begin to be real with people. Get out among those that Jesus misses most. Let us truly become Christ-followers. 1. We misrepresent the name of Jesus when we use Jesus' name apart from His nature and character. Let me explain. Several years ago a young man was murdered by other young men because he was gay. During the trial, a pastor and his church members were at the courthouse with huge signs saying "God hates fags." As I saw this my blood boiled. God does not hate anyone. That is not His nature or character. But that is all that everyone saw on the evening news. As you examine Exodus 34 we find God revealing Himself to Moses. In so doing, God reveals Himself first as loving, merciful, full of grace and then as a God of justice. So many times we as "Christians" get it backwards. We want to give out justice first and save the love, grace, and mercy for ourselves. St. Paul says that it is the goodness and mercy of God that leads us to repentance. So, before we open our mouths and say this is what God is like we better check out His nature and character before we say anything. Let us truly become "Christ followers." Spirit lives and reigns, one God, in glory everlasting. Amen. Sometime ago I was driving down one of the beautiful streets in downtown St. Augustine. As I was driving, I looked to my right and saw a bumper sticker that said, "Jesus save me from your followers." As I looked at this sticker, a wave of emotions flooded over me. I though to myself how can someone put something like that on their car. I got really upset with the gall of this person. As I drove on there was another wave of emotions that flooded over me and questions began to arise in my mind. What has happened to this person that they would put a bumper sticker like that on their car? How did some "Christian" hurt them? Then I began to remember the times that other "Christians" treated me as I me as if I was not a Christian and did not even know that God existed. I became very sad as I drove to the Post Office, because many times we so-called Christians misrepresent the name of Jesus. Several years ago a friend, Tom Pelton, preached a sermon and said that Christians have so misrepresented the name of Jesus and not acted like Jesus that he believed that Jesus was crying out to reclaim His name. He wants it back! Have you ever misrepresented Jesus? Have you ever been on the receiving end of someone misrepresenting Jesus? If we were truly honest with ourselves we can all say that at some point in time we have misrepresented the name of Jesus. Over the neve few days I will explore how we misrepresent His name. 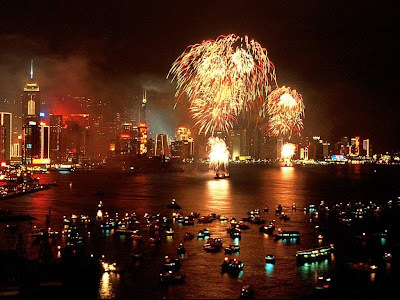 Happy New Year - 2010.
favor and blessings this year.